In June 1944, an elite unit of British paratroopers was sent on a daring and highly risky behind-the-lines mission, which was deemed vital to the success of D-Day. Dropping ahead of the main Allied invasion, 9 PARA were tasked with destroying an impregnable German gun battery. If they failed, thousands of British troops landing on the beaches were expected to die. But their mission was flawed and started to go wrong from the moment they jumped from their aircraft above Normandy. Only twenty per cent of the unit made it to the objective and half of them were killed or wounded during the attack. Undermanned and lacking equipment and ammunition, the survivors then held a critical part of the invasion beachhead. For six bloody days, they defended the Breville Ridge against vastly superior German forces and bore the brunt of Rommel's attempt to turn the left flank of the Allied invasion. 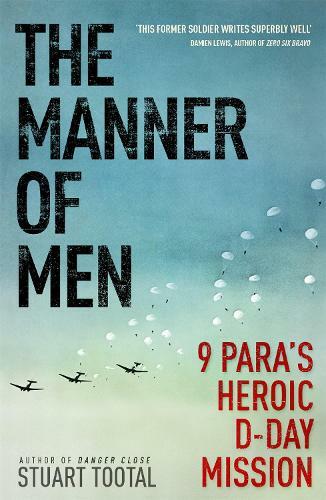 The Manner of Men is an epic account of courage beyond the limits of human endurance, where paratroopers prevailed despite intelligence failures and higher command blunders, in what has been described as one of the most remarkable feat of arms of the British Army and the Parachute Regiment during the Second World War.